Finally clear of chilli and edible. Lol. But the spiness level was really really shioking. The shop doesn’t really have a large variety of food, but they had fish paste. It’s an ala carte buffet. They have a lesser variety of meat. Food was fresh though. They promised us free drinks but they forgot about it. The stall was too busy probably and some of our others did not arrive even after a second order. Prices exclude 5% service charge. 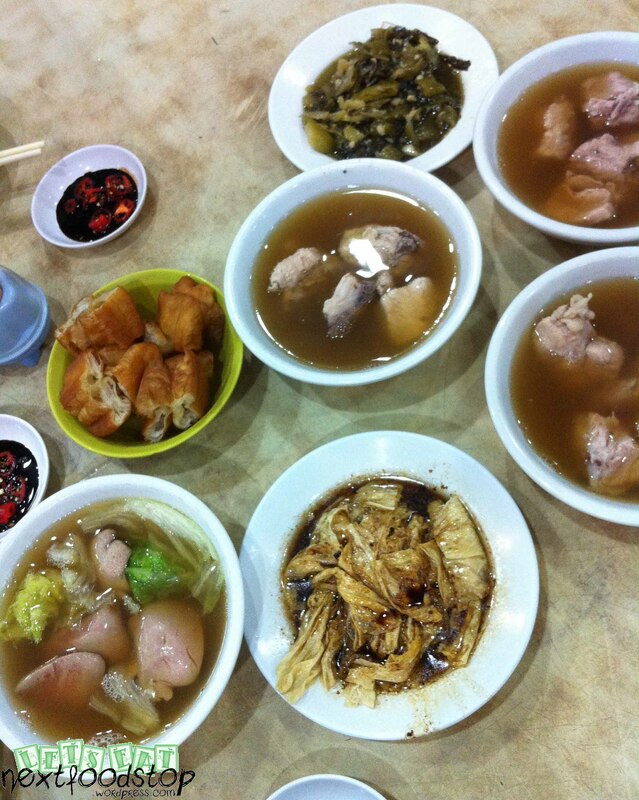 Von brought us to this famous Bak Kut Teh place in Balestier. It opens from 6 pm so do not go too early. However, car parking is a little difficult there. Upon entering the shop, the walls are filles with photographs that the owner took with many different celebrities from Singapore, Taiwan and Hong Kong. The Bak Kut Teh there is peppery. Hence, if you prefer the herbal soup, this may not be for you. The shop refills hot soup for you when yours is about to finish readily. We had ours refilled thrice! I would have preferred if the you tiao was crispier. The pig’s kidneys were crunchy and it wasn’t too smelly. Request for chilli padi if you find the cut-chillies tasteless. Prices exclude 7% GST. No service charges. Opening Hours: Lunch: 12 noon – 2pm, Dinner/Supper: 6pm – 2.30am. Closed on Tuesdays. 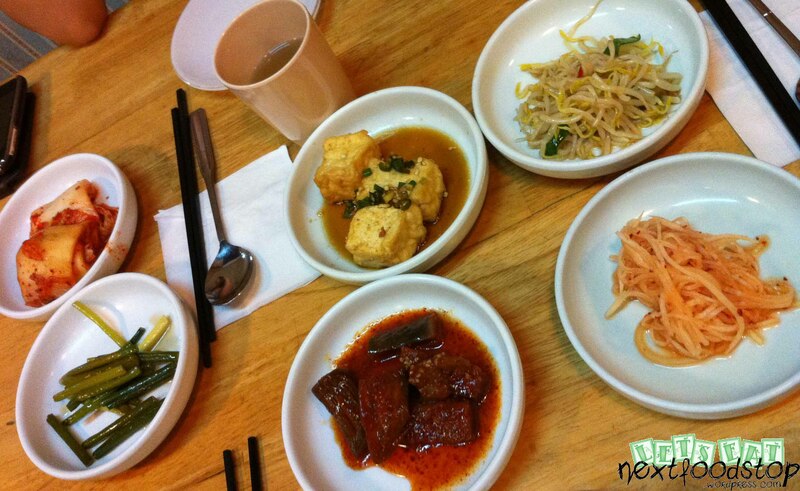 Mmm… real authentic Korean food other than Kko Kko Nara! It is run by a korean lady and her mother. No worries if you can’t speak Korean because the lady boss is fluent in her English. There is a male staff who can speak Chinese. Everything is very Korean inside and there are many Korean diners. Most of them were having bbq. The restaurant was filled with food fumes. Beware of stepping out of the restaurant “smoked”. The side dishes were good good! Haven’t had such nice kimchi for a long time! It’s not that sour nor spicy and was crunchy in every bite. We even requested for a refill!! 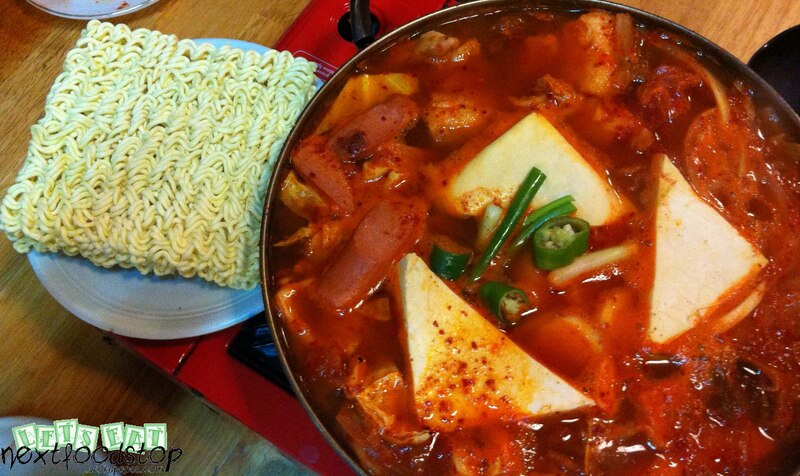 Love the Kimchi stew especially the hotdogs inside! You can request the ajuma to refill the soup for you. The assorted pancakes consisted of prawns, fish, oysters and brinjal. 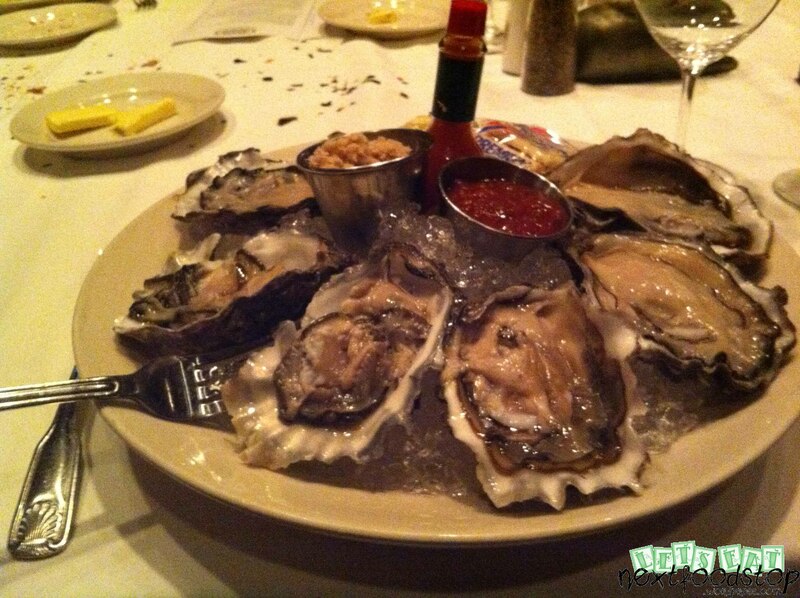 The oysters were really succulent and fresh. It was a real feast for the three of us, though a little expensive. Prices exclude 10% service charges. No GST. My cousin, brother and I visited this steamboat place in Chinatown yesterday. 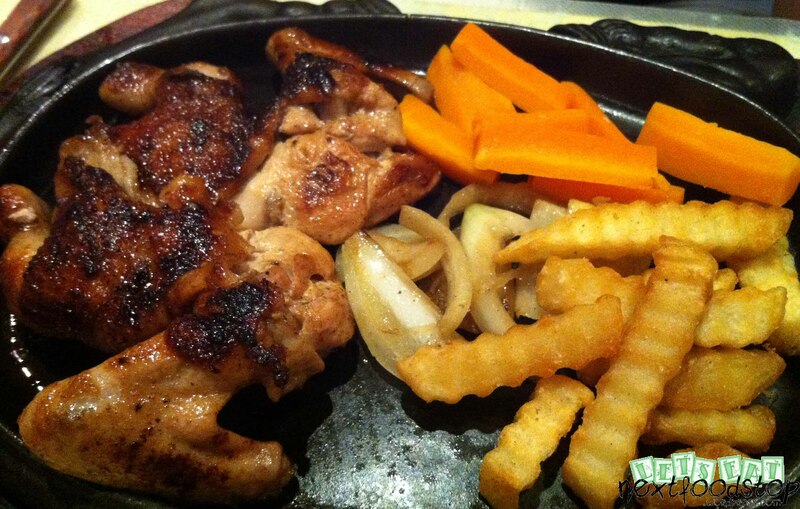 I was pleasantly surprised by the staff and freshness of food. It has two levels of air-conditioned tables and a few tables outisde the shop. 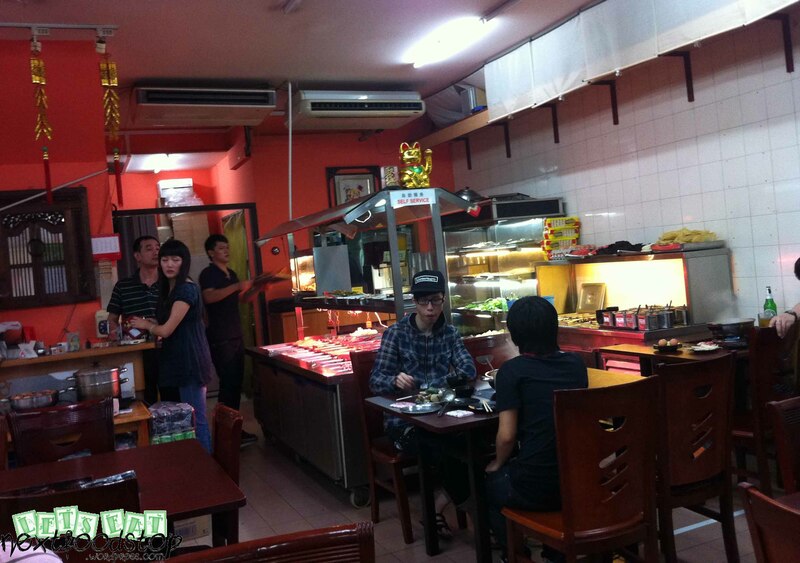 When you entered, the staff will ask if you want bbq or steamboat. 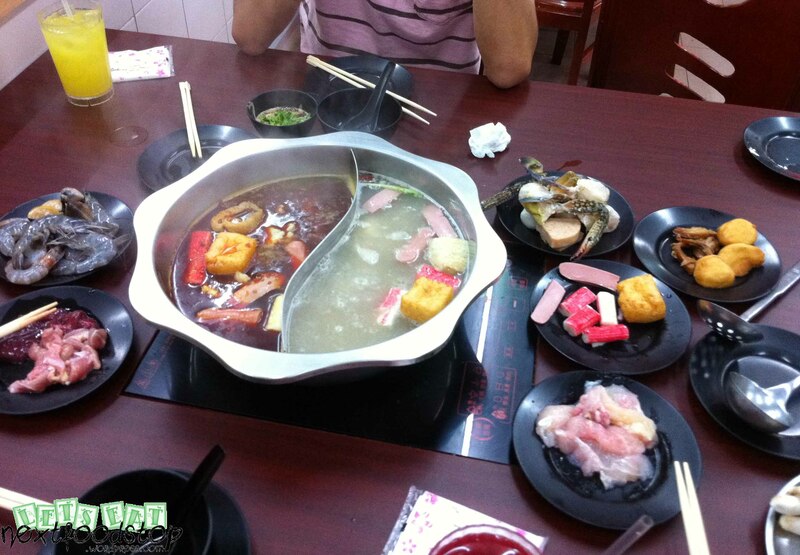 So far, every diner was having steamboat. You can choose between the Tom Yum, Ma La or Herbal broth. 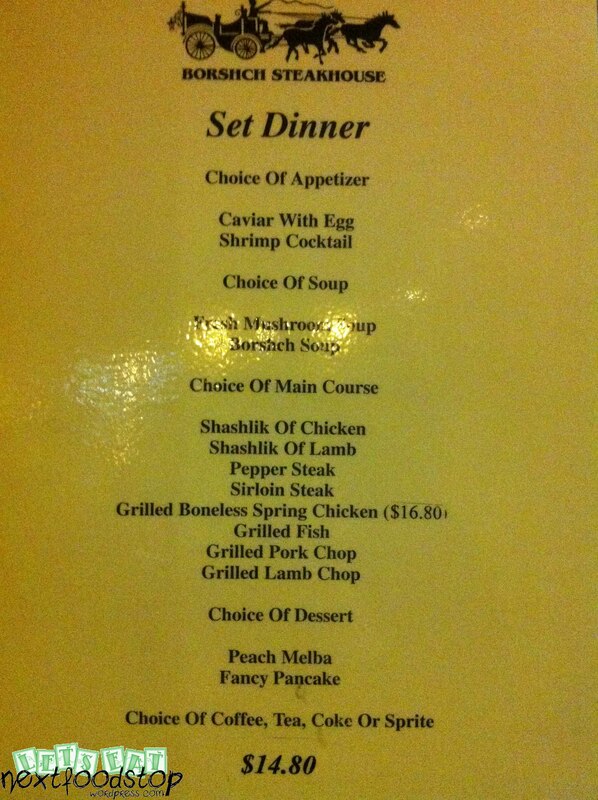 There was a good variety of food to choose from. 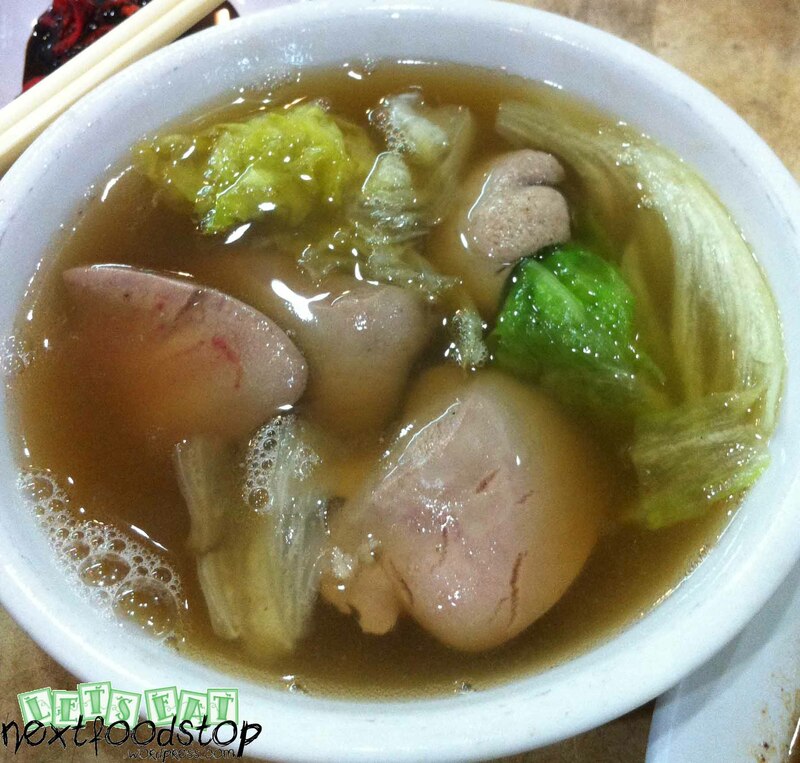 Besides the usual crab sticks, frozen balls, hot dogs, there were pig’s liver, pig’s stomach, mutton, shabu-shabu beef slices, pork, luncheon meat, handmade pork balls and handmade wanton! They were all so fresh!! I don’t usually eat flower crabs during steamboat, but their flower crabs were so fresh and meaty! The meat was not the mushy type. 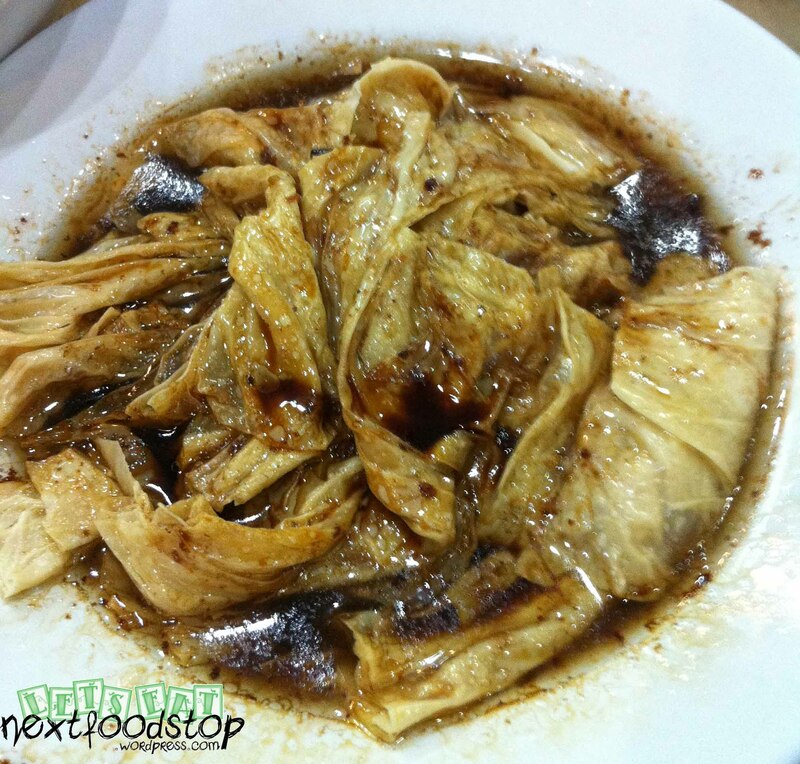 There was also cooked food – chicken wings, fried man tou, pickles, pig’s tongue and some other China appetizers. Add $2 for free flow of drinks. However there is only two types to choose from. We paid $20 nett for our buffet. There are no service or GST charges. 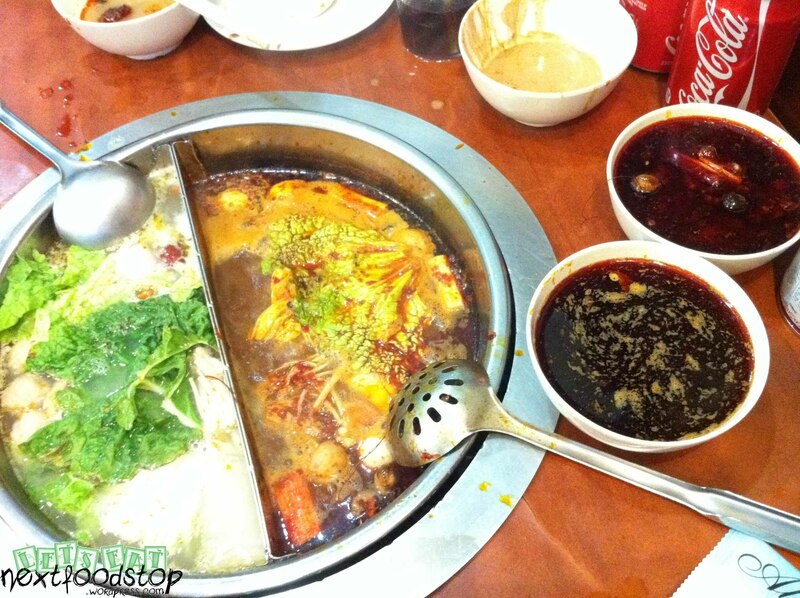 Visit this place for really value for money buffet steamboat!!! 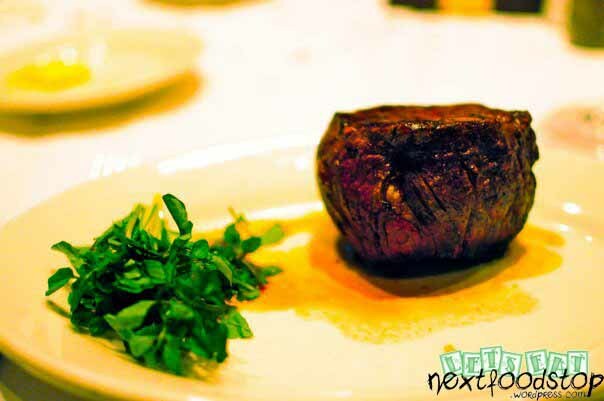 Morton’s is having a special deal now at $95 for a 3-course meal! This deal is valid till 31st March 2011. We actually went for this on 31st January 2011!! 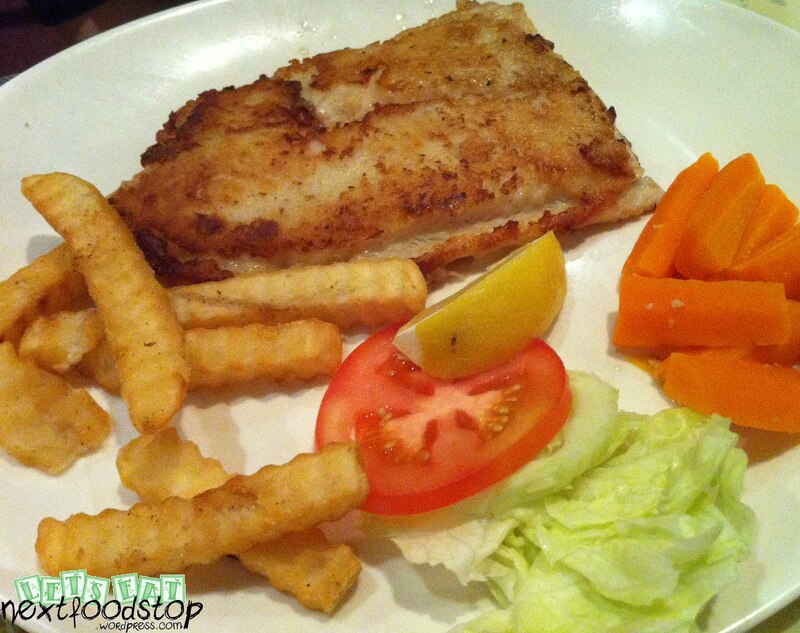 The ambience was great, the service was good and food was superb! We had a private function room to ourselves. It was one of my friends birthday and they sprinkled some confetti on the table and had her name printed on the menu! She got a complimentary hot chocolate lava cake! The seven of us had a stunning bill of nearly $1100! Excluding a whole baked Maine 3-pounds (approx. 1.36 kg. $50 per pound.) 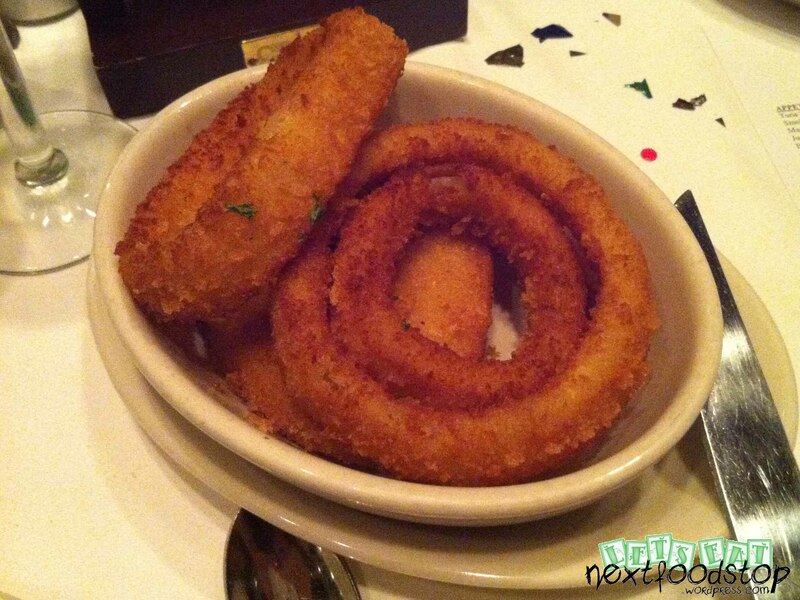 lobster, rib-eye steak ($95) and HUGE onion rings, our bill came up to $749.75. We ordered three sets of the promotional Steak and Seafood set at $95. I had mine shared with a friend. 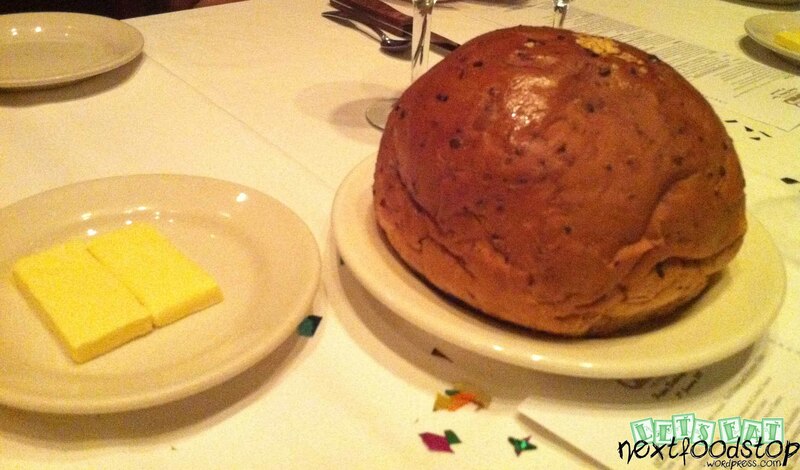 Firstly, we had this huge complimentary onion loaf – crispy outside and warm and fluffy inside, with butter. It was really really nice. We couldn’t finish the two placed in front of us. Next, I had one oyster. It was the largest oyster I’ve eaten and it was so fresh and succulent!!! Heavenly! I felt I had just picked the oyster from the seabed, opened it and ate it! The Morton’s salad was light and the blue cheese and anchovies added some saltiness and gave it a really great combination. My single cut filet mignon was executed perfectly to a medium rare. I shared half of this with my friend. There wasn’t any “bloody scenes” on my plate when I cut it considering it was about 1 and 1/4 inches thick. 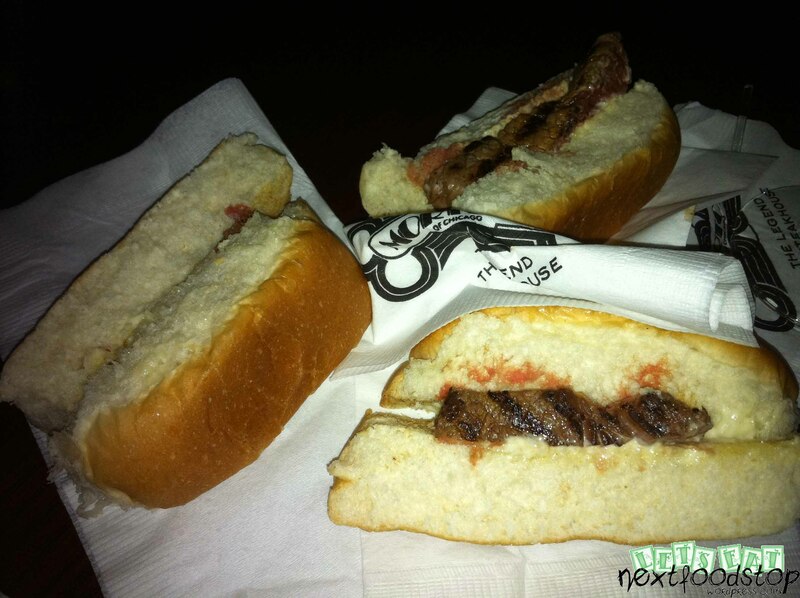 It was really nice and I felt the texture of the meat similar to tuna’s. It simply melted in my mouth after chewing. I would have preferred it to contain more “beef” taste. Nonetheless, this is best steak!!!! 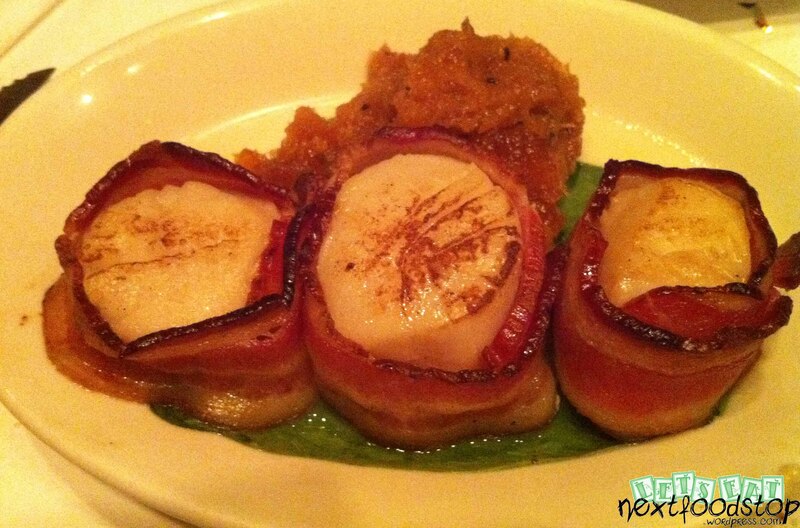 The sides – broiled sea scallops came in threes and were individually wrapped with a piece of bacon. They were nearly 2 cm in diameter. I love scallops! Their scallops had this slight grilled smoke taste that I simply couldn’t resist. 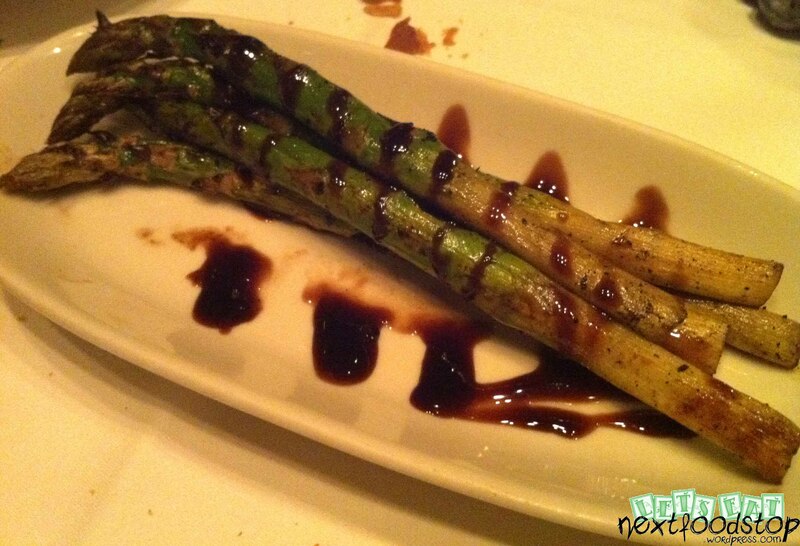 The other side – giant grilled asparagus were the largest I’ve ever seen. They were almost 1 cm in diameter and more than 10 cm long. 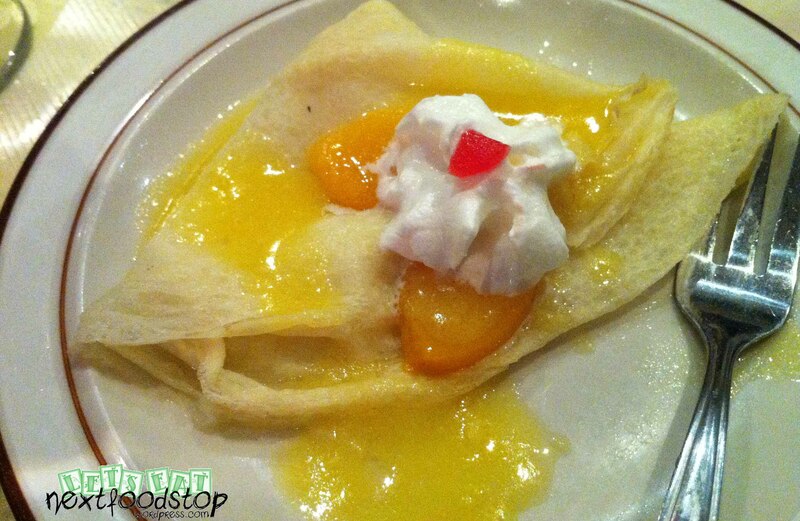 It doesn’t taste like the usual asparagus we get at usual western meals. 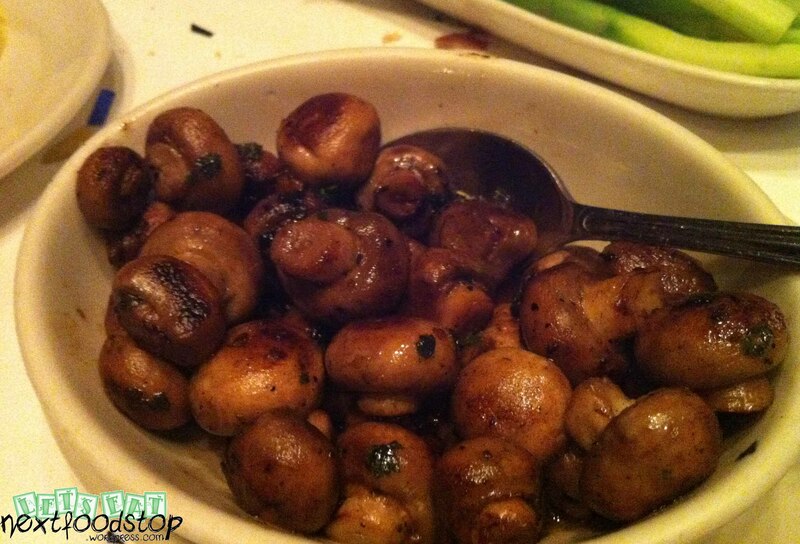 The sauteed mushrooms cannot be missed!!! Fresh and without the “woody” taste, the mushrooms were sauteed to perfection. I can’t stop popping them into my mouth!! I didn’t fancy the huge onion rings. I thought they were tasteless. I saw the largest lobster and my friend said it was already the smallest that they have! They have large claws and Morton’s provided a bib for their customers eating this. It must have been heavenly as well and I wish I can eat it one day. 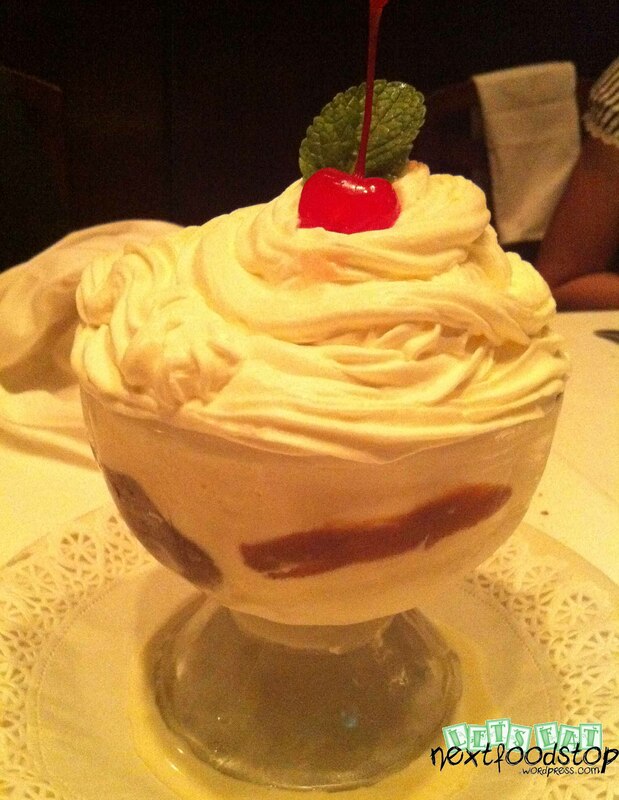 Finally, the legendary Morton’s sundae!!! 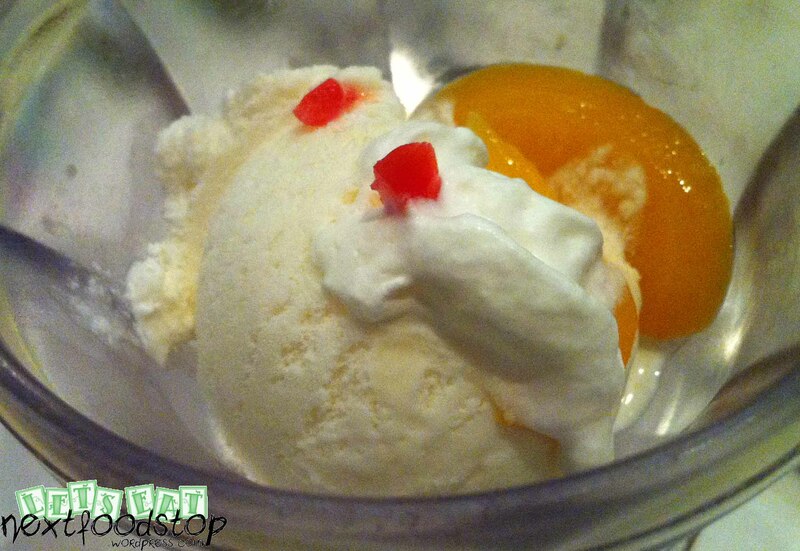 It isn’t your normal Swenson’s ice-cream – with two scoops, fudge, biscuit and cherries. This is as legendary as it sounds – a chocolate cake lies beneath three scoops of vanilla ice cream, hot caramel and freshly made whipped cream. It came with all whipped cream on the top and we couldn’t see what was beneath. So my male friend went, “What is this?” and dug his spoon into the huge glass cup. He then exclaimed, “OMG, IT’S SO NICE! 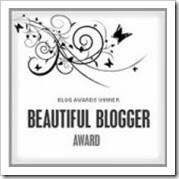 !” This sundae was so deliciously sinful and large enough for the whole table to share. The chocolate cake was very rich. Coated with ice-cream and caramel, they are a huge gift sent from heaven for ladies who are endorphins-deficient. This legendary sundae really completed our meal. All the servings were huge (American servings) and I really wondered how one can finish if there wasn’t more people to share with!!! The pictures do not really do justice to the fantastic food. 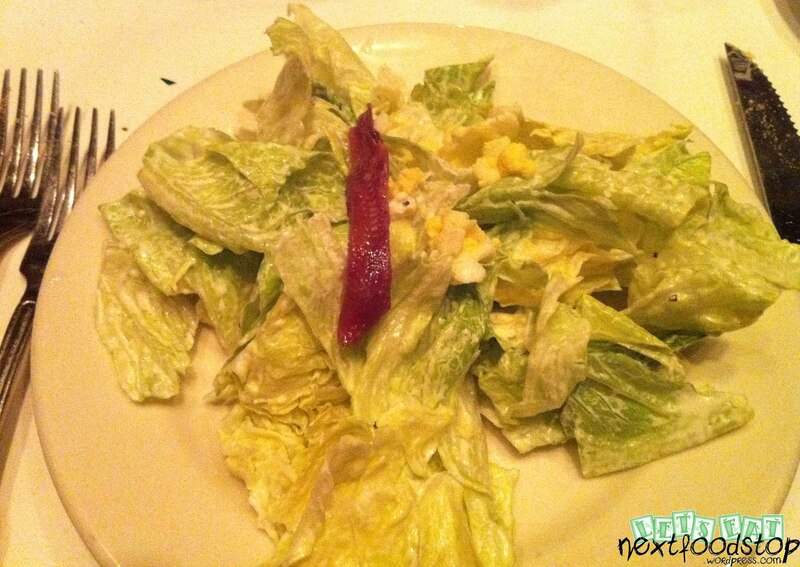 Go Morton’s and experience this fine dining! Prices exclude 10% service charge and 7% GST. Left with a huge burnt pocket, but totally worth the damage. 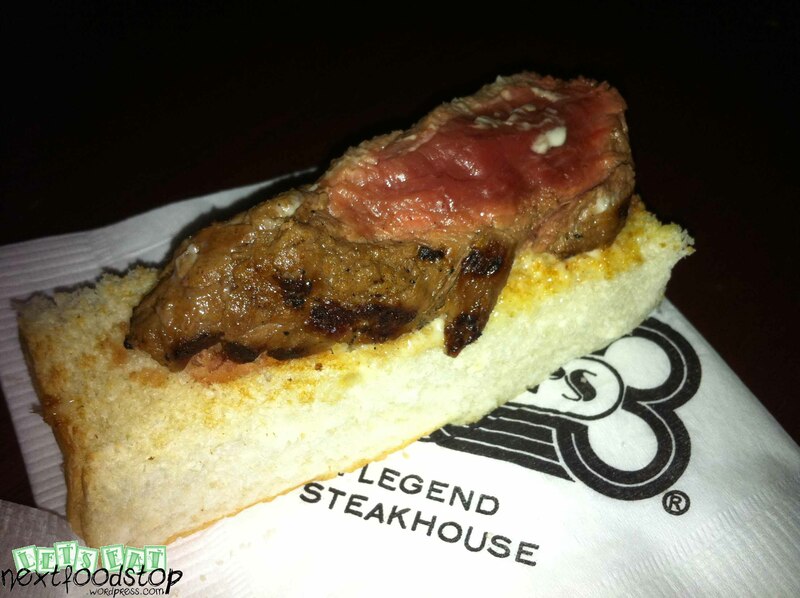 My friends and I like the bar because for a glass of martini, we get a free flow of beef filet mignon sandwiches. 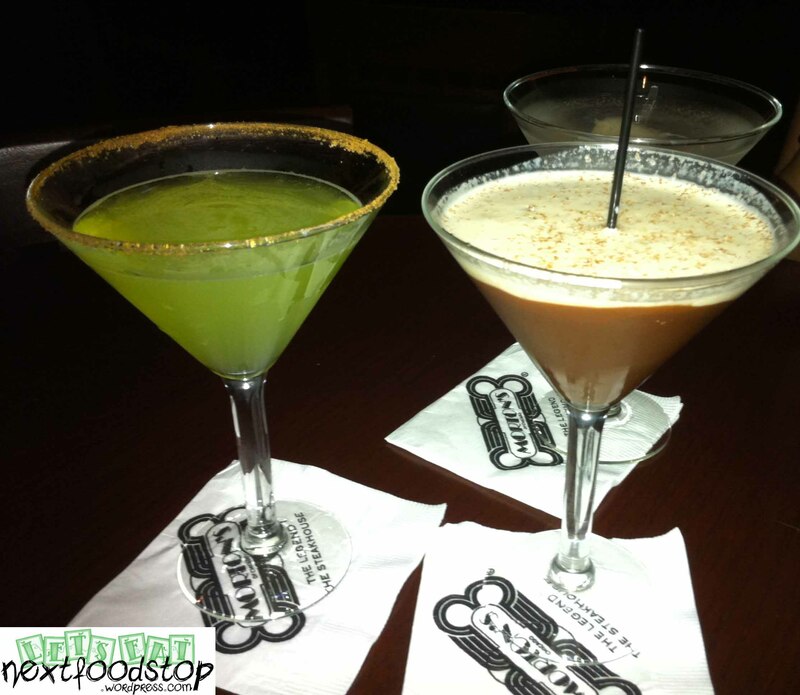 The choice of martinis include: Classic Martini, Appletini, Lychee Martini, Chocolate Martini and Cosmopolitan. I like Appletini and Chocolate Martini. Appletini is very refreshing and the cinnamon on the rim of the glass is sweet. So when you drink, there is a fusion of sweet, sour and a little of bitterness. Shiok! As for the chocolate martini, a layer of dark rich chocolate lies on the bottom of the glass. It gets interesting when you scrap it off with the straw. The martini becomes creamy. Yummy!! Each martini cost $12. The polite waitress will come serving with a tray of the beef sandwiches. You may take one first in the first round, otherwise there won’t be enough for the rest of the customers. The sandwiches are served once every 15-20 minutes. It is bite-size so it is easily consumed. One bite of it and you would want more. AWESOMENESS!! During the F1 season in Sept this year, many roads around the hotel were blocked off and we went on a weekday. There was an unusual scene of a few customers and there was an oversupply of beef sandwiches that day. We lost count of how many we ate and the waitress was pleading us to take more, more and more! Look at how tender the meat is!! Beneath it is a thin layer of their special mayo. 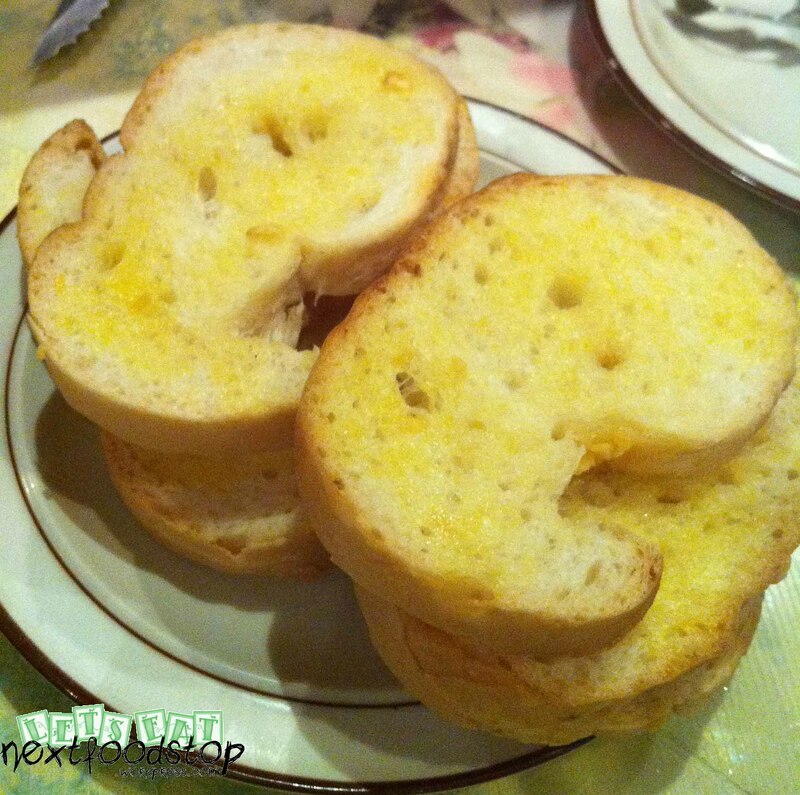 Everything goes well with the soft bread!! 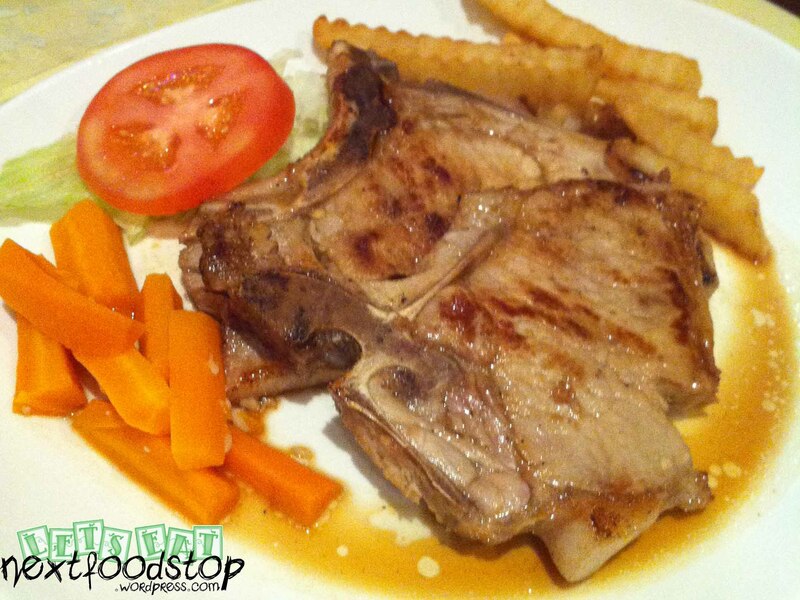 Definitely a place to unwind and get to eat some affordable Morton’s legendary beef (on a budget month)! 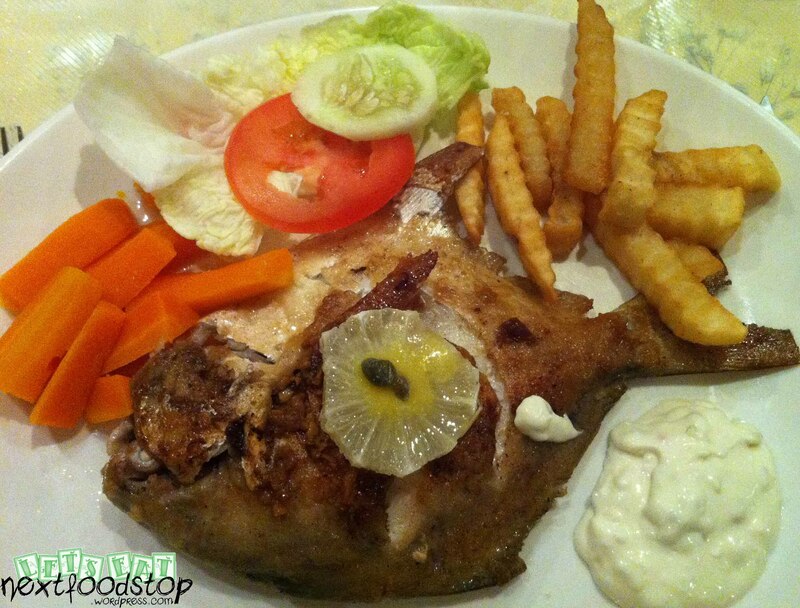 This is a really old school restaurant in Serangoon Gardens that serves Russian food. Its interior is decorated with fairy lights, curtains, flower patterned plastic table mats, old newspaper cuttings and a funny smell. It made me felt that I’ve travelled back into time to a 1980s restaurant. 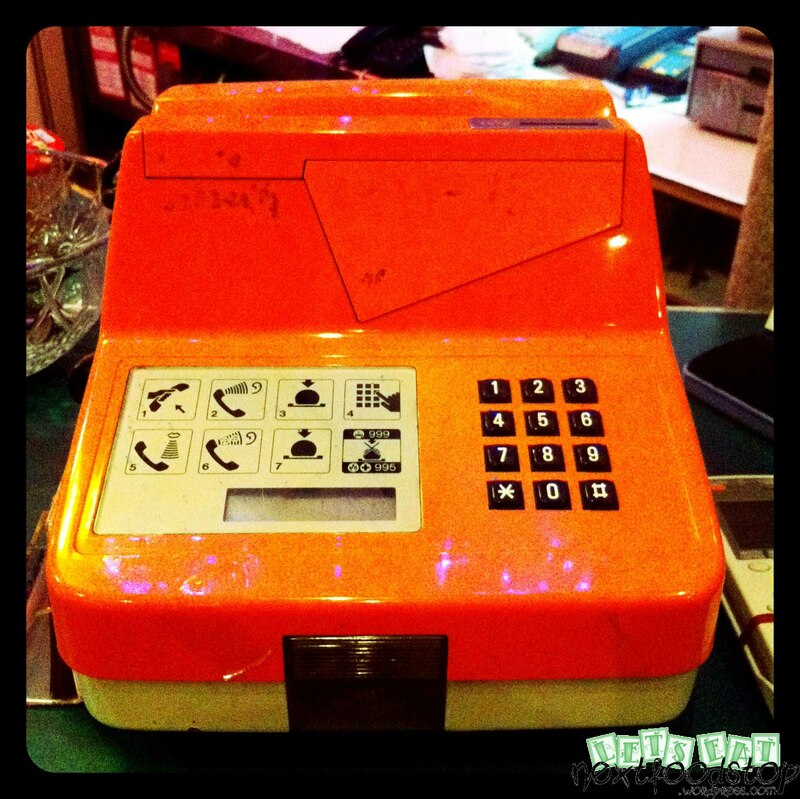 It even has a 10-cent coin orange telephone that used to be present at every neighourhood coffee shop. 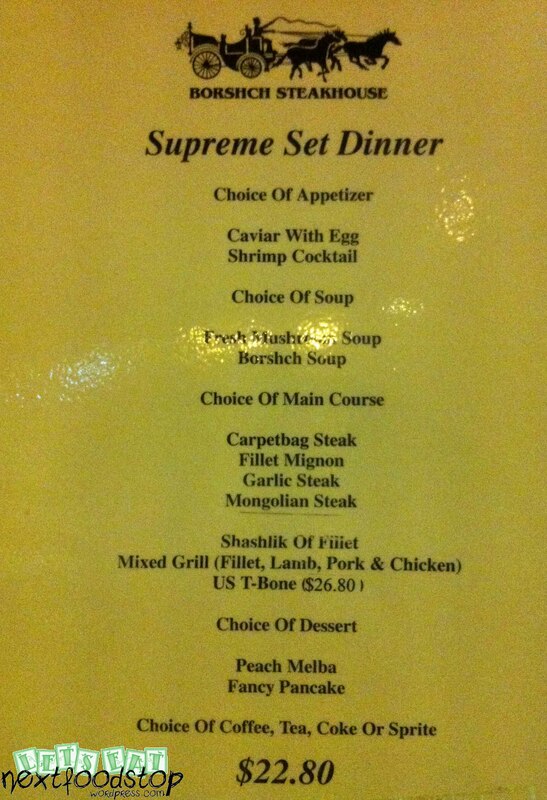 Even though the set meals were reasonably cheap, the quality was a little too low for a restaurant’s standards. 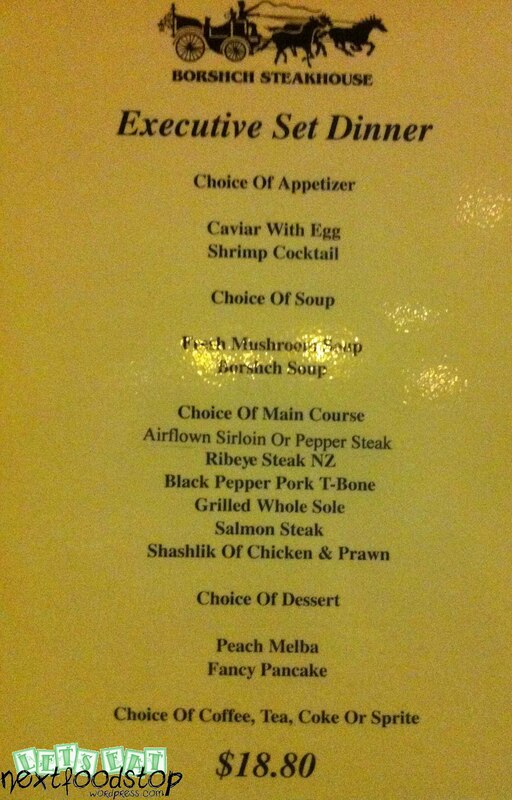 The cavier on the egg was less than a pinch full and the mushroom soup was bland. The soft drink in the meal was an unusual small glass. 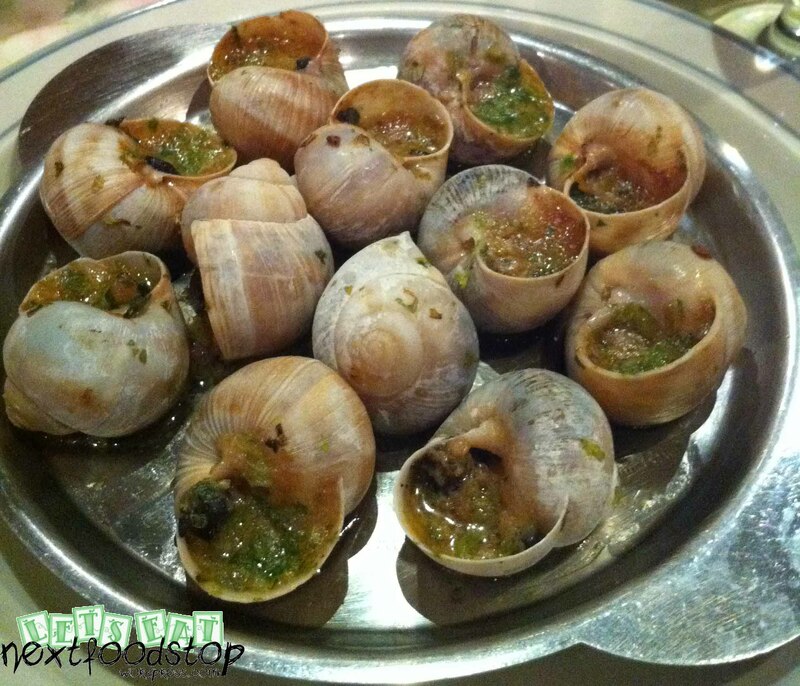 However the promfet was a rare find to be treated as a set meal but only tasted ok. We ordered a dozen of their herbal and garlic escargots. They were nice!! 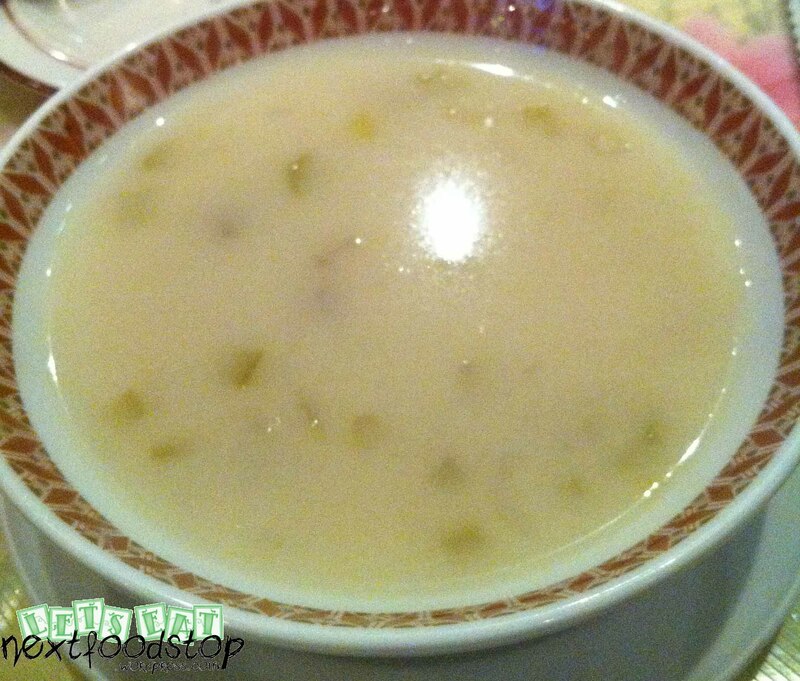 None of us ordered their Borshch soup which was known to be their best menu item. Prices exclude 10% service charge. No GST. 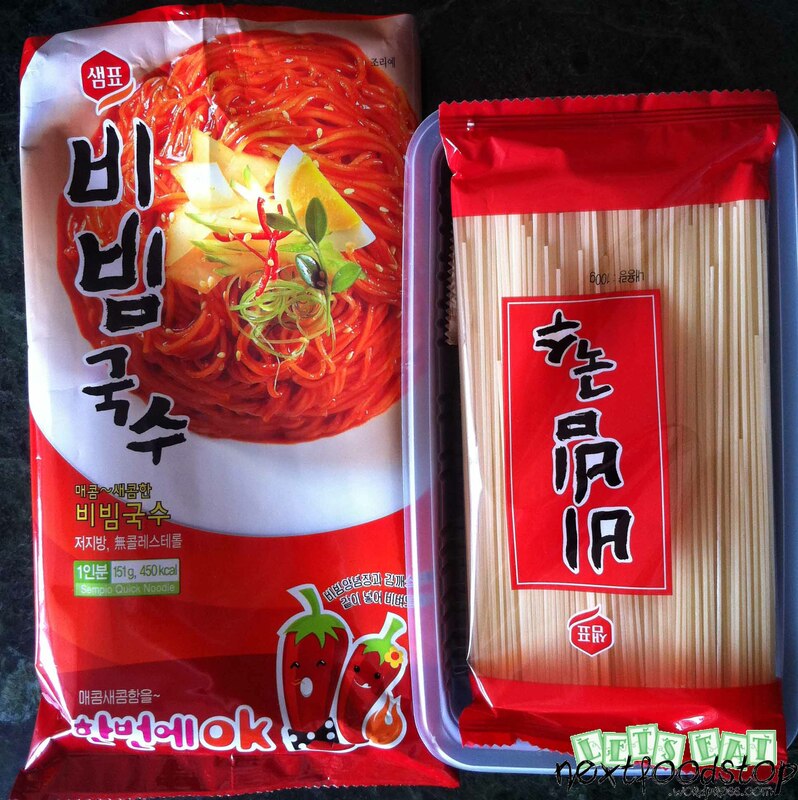 I bought from the korean mart at KeyPoint (Beach Road) – SHINE. The instructions says to wash the noodle under running tap after being cooked. It is optional to put in into ice water after that. This was what made the noodles spring-y. It comes with seaweed and sesame seeds garnishings. I’ve added pork balls to my noodles. I must say that it tasted really nice though I have some hesitation taking my first bite. It is not that spicy and tasted more like tomato sauce. The sesame seeds enhanced its flavour. I finished it within five minutes. It was really tasty and I love the texture of the noodles. The one that I cooked doesn’t even look like the one in the picture on the packet! The instructions that comes with it does not say to run the noodles under running water or cool it in ice. It was still palatable but doesn’t taste as nice as the first. It also doesn’t come with seaweed and sesame seeds garnishings. 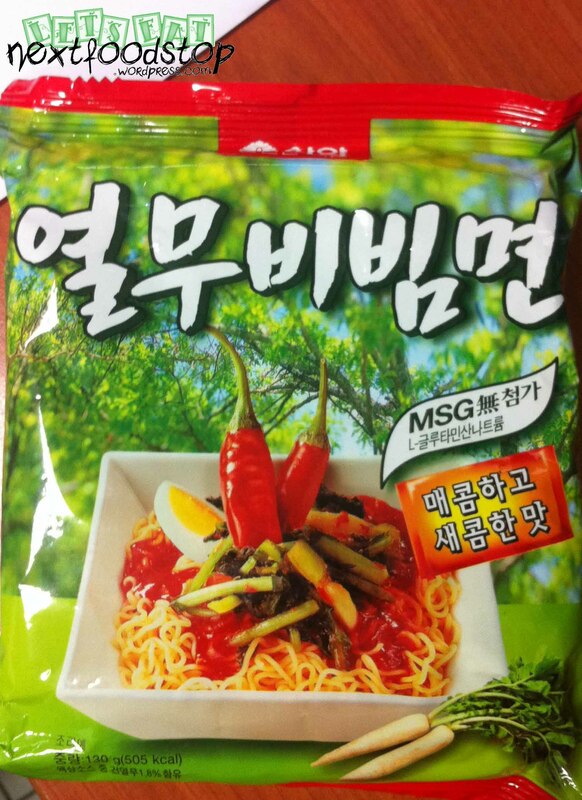 This packet is more spicy than Char Bi Bim Myeon. 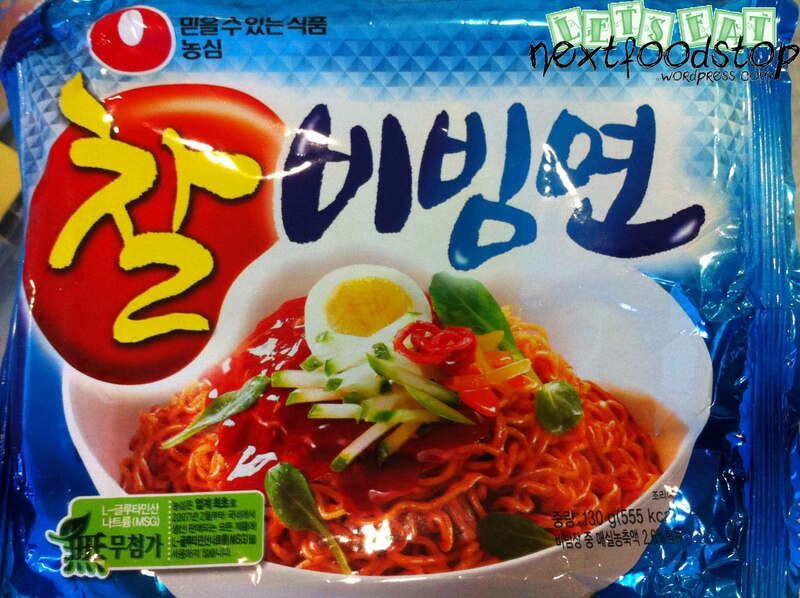 It tasted a little better but the texture of the noodles can’t be compared to the first packet. Probably because the first one is so-myeon and the second and third packets are instant ra-myeon. I added additional seaweed in the noodles. Again no sesame seeds in this packet. 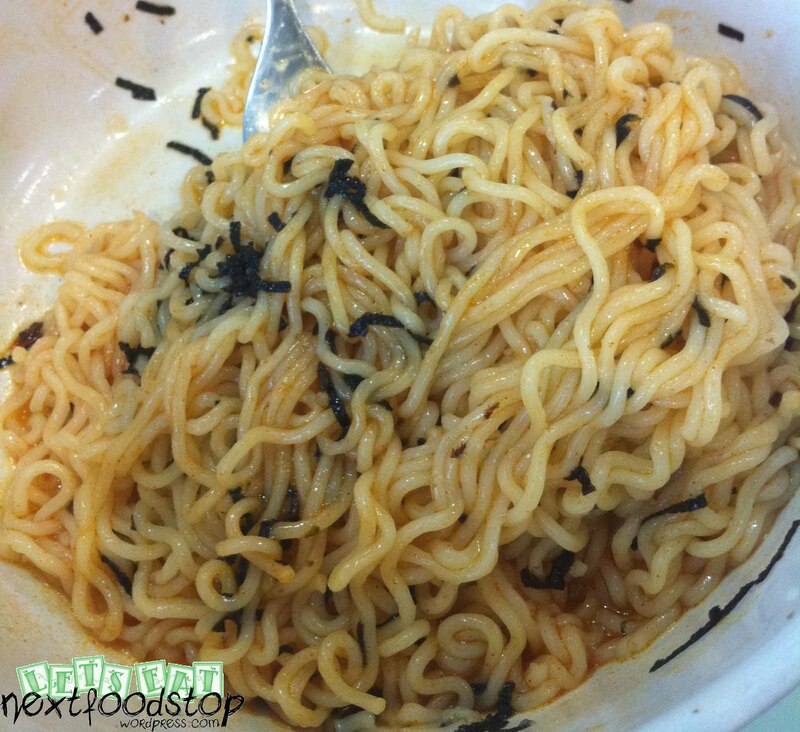 Bibim guk su is one of the most popular traditional noodle dishes in Korean cuisine. 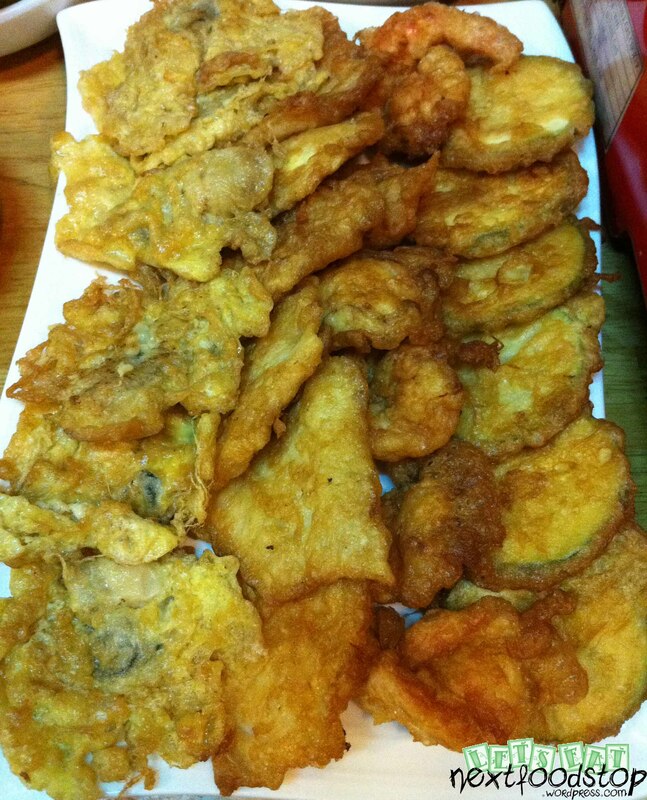 It is a cold dish made of very thin wheat flour noodles called “so myeon” with added flavorings. It is also known as “guk su bibim” or “gol dong myeon”. All of which literally mean “stirred noodles” or “mixed noodles”. This dish is especially popular during summer. 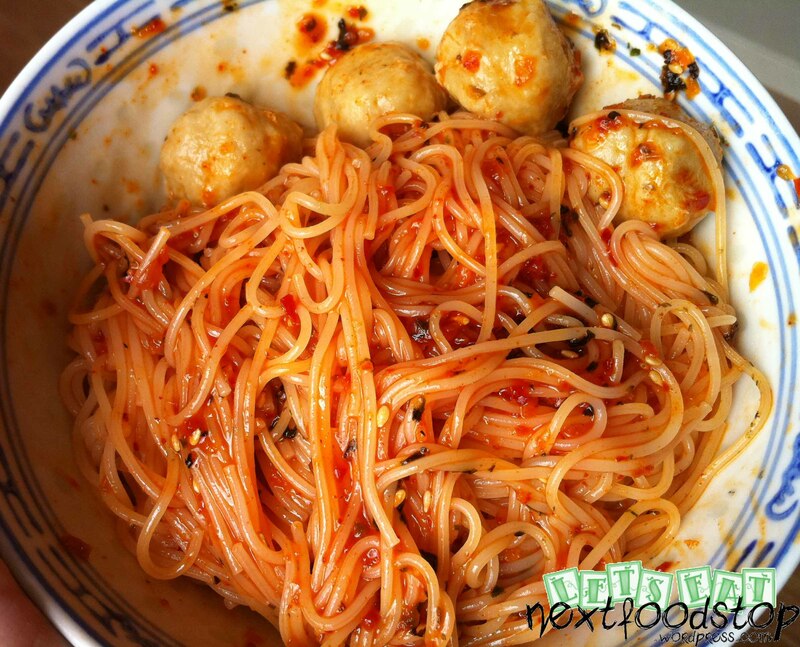 What makes this dish so distinct from other cold noodle dishes from different cultures is the strong spicy flavor produced from the combination of red pepper powder, “go chu jang” and minced garlic, along with a sweet-and-sour flavour created by vinegar and sugar. 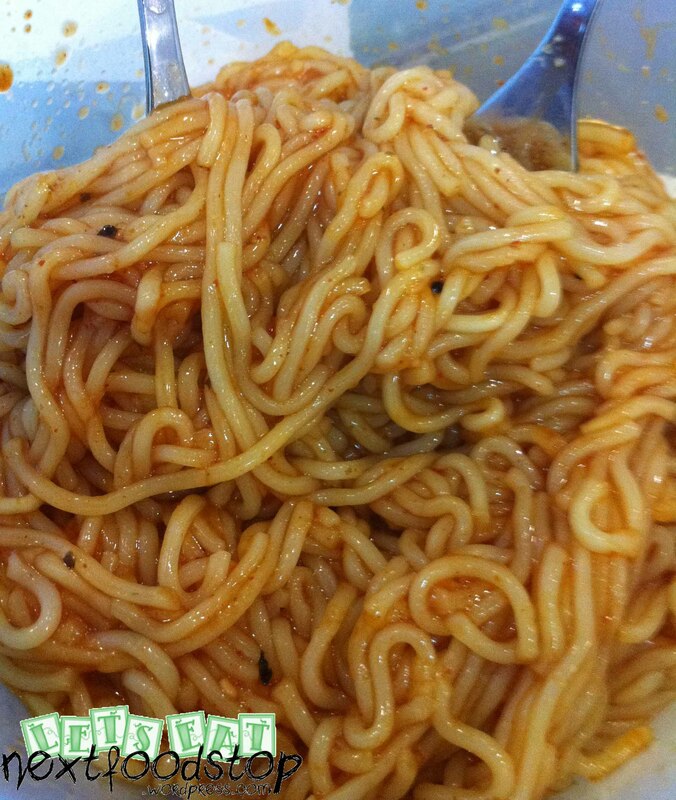 Most spicy cold noodles are prepared with a slight touch of sesame oil to enhance the richness of its flavor. Typically the dish would be prepared by stir-frying diced beef, julienned pickled cucumbers and mushrooms in sesame oil, which is all mixed together with the cooked noodles, soy sauce, sesame oil, sesame seeds and sugar. 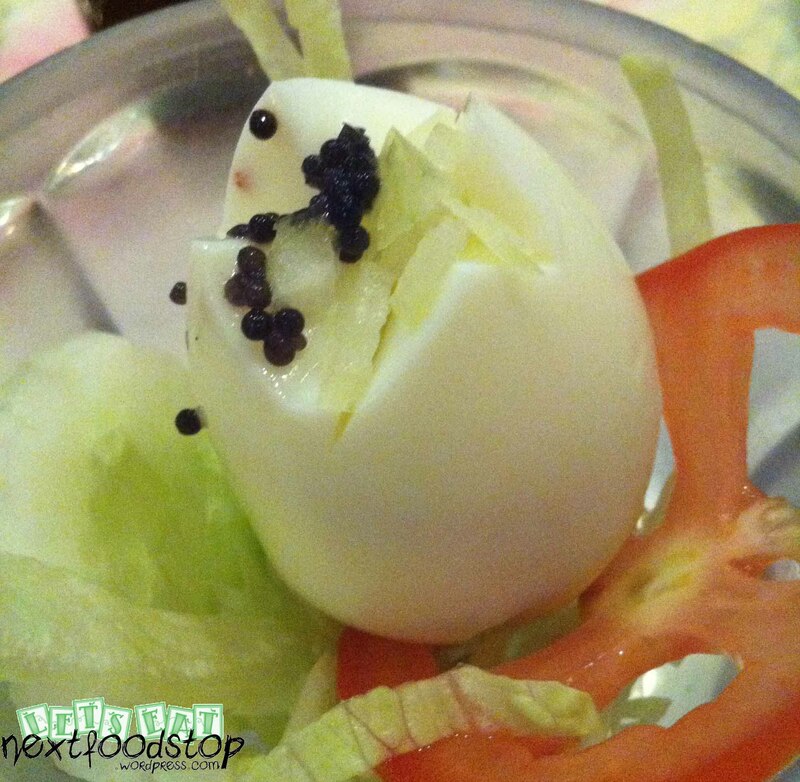 Garnishes placed on top and around the spicy noodles include hard-boiled eggs, pickled mu, dried gim strips, sliced cucumbers and sometimes sliced Korean pear or tomato.